Do you have the writing chops to seek out and deliver compelling stories on the latest in music, art, food, beer, politics, and current events in Richmond? Well, you’re in luck, because RVA Magazine and GayRVA are opening positions for editorial and graphic design interns for our upcoming summer season. 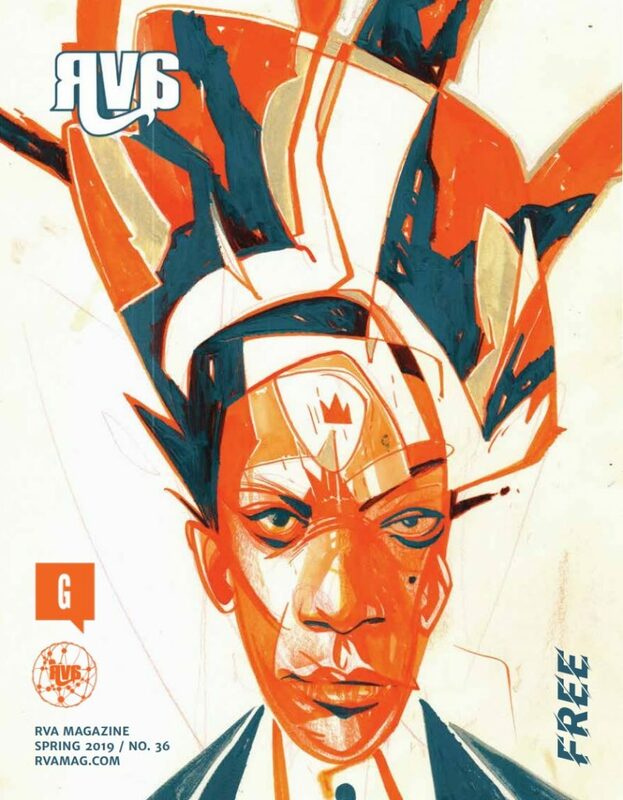 Launched in 2005 as a zine to promote the bubbling revival of Richmond’s underground, the RVA regional brand started with RVAMag. RVA Magazine and GayRVA are now Virginia’s largest independent media outlets, and the region’s voice for arts, entertainment, and cultural news. We are always seeking to diversify our newsroom: LGBTQ and minority students are very much encouraged to apply. Juniors and Seniors studying Journalism will receive first priority consideration. 1. Writing – Interns will draft 1-2 articles per week: News writing, event previews, interviews of artists or musicians, album reviews, features on new businesses and local stories, political updates. 2. Interviewing – You will be speaking to lots of different people. The voices of the city and state help define the publication, and you will be seeking out those voices. 3. Pitching and developing long-form stories – We want to help you get published, we want to see you succeed. We’ll help you get there in any way possible, and provide guidance to continue your professional career in any different facets of the media industry. We can help with career counseling and help you build your resume to move forward into a media environment. Interns work remotely on 1 article per week, interviewing sources in person or via phone on feature pieces. Please send an email to Caley Sturgill at [email protected] and write “Internship Submission” as the subject line. Deadline for submission is May 20 (flexible if needed — send an email letting us know beforehand if you plan to submit a late application). Internships are unpaid and for-credit if requested, with potential opportunities for steady contributor positions following the internship. While the history of NASCAR may lie in the bootlegging, blockade-running days of Prohibition in Appalachia, today’s races marry the sport’s moonshining, outlaw-racing origins with the modern world. Racing in 2019 invites folks to fly their own flags alongside the colorful and checkered symbols of its own, encouraging fans old and new to experience the excitement from all walks of life. With a group of our own first-timers and favorite Richmonders, RVA Magazine took to the track last Saturday, April 13, for Richmond Raceway’s Toyota Owners 400, right here in our own River City. WWE star Mickie James, Municipal Waste’s Tony Foresta, rapper Nickelus F, Valient Himself of Valient Thorr, and rapper Michael Millions joined our team with a common purpose: Fast cars, big thrills. No two tracks may be the same, but Richmond brings something special to the table for both drivers and fans. Our track, smaller in comparison to multi-mile raceways like Talladega or Daytona, makes for tighter turns and higher difficulty (i.e., more fun). On the other side of the fence, Richmond Raceway has a yellow brick road of sorts, manifested in an access tunnel for the public that lets lucky fans catch the race from inside the track. Among the lucky, our crew got to walk the “road under the road,” stepping out on the other side of the tunnel into the center of the infield. The newest adaptations of the cars, whose glory days of the 60s and 70s only pushed out about 250-300 horsepower, have more than doubled: Richmond Raceway’s track allows for cars that pack around 750. Gearing up for the race, fans piled in from around the country as early as 6am last Tuesday morning. Campers, trucks, tents, and golf carts lined the fields around the raceway to tailgate and celebrate, with the same excitement that sparked with the sport decades ago. With a special mural dedication before the race, NASCAR honored a treasured local artist, Sam Bass, who called Richmond his home and worked with the organization for years before passing away earlier this year. The mural, which can be found in the raceway’s media center here in town, drives home the importance of Bass to the racing community throughout the years. The Richmond Raceway grounds are home to more than the track; they hosted events all weekend, including public Driver/Crew Chief Meetings, Toyota Thrill rides, Virginia Lottery giveaways, and a Craft Beer Fest full of breweries from around the state. If you’re planning to hop in the Toyota thriller next time around, make sure you’re not weak of heart or stomach — in stock Camrys, fans can hop in with professional drivers to have the guts scared right out of them in twists, turns, burnouts, and close calls with the wall, all designed to bring your breakfast back up (and still have you jumping back in line for another round). Down in the infield, pit crews line the track, while fans full of beer and Larry’s Lemonade gather at the gates to watch the action. Each car and driver are unique to their own specs, but experience reigns supreme. Every point of the track during a race brings a unique experience to the table. From the infield, the behind-the-scenes area gives a personal look at crews working while drivers rush on around you. The Richmond Raceway has tickets for regular seating and infield access to open the thrill to fans of all kinds, and from above the track and along the straightaway, the speed of the cars can feel unbelievable as drivers accelerate by in colorful blurs with each passing second. 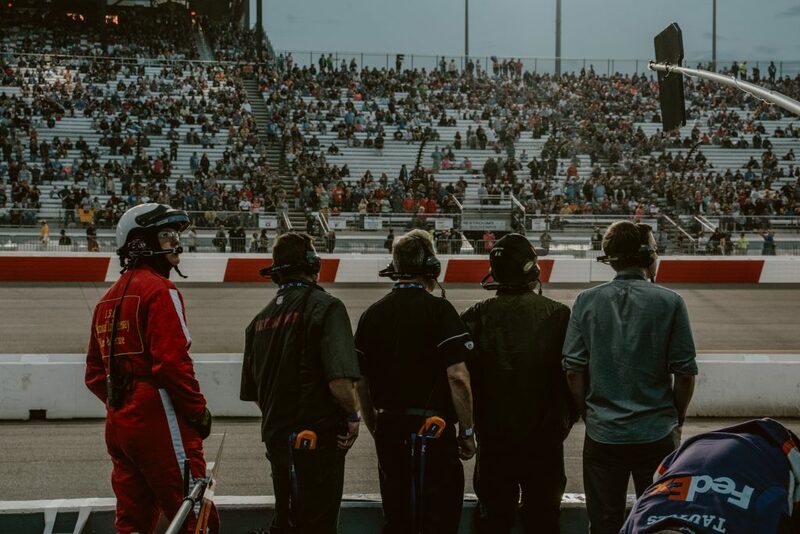 Until you’ve seen it in person, the excitement of the days-long party that surrounds professional stock car races is hard to imagine in its full fire — and like all things Richmond, the raceway holds a part of our culture that can’t be found anywhere but here. With a case of beer in arm and a ticket in hand, a day at the track is an experience like no other in the River City. The 400 race is returning this fall. We’ll see you there. The most difficult part about traveling is the people you must leave behind. Other things can also go wrong: missing planes, losing luggage, items stolen, food sickness, uncomfortable weather, fear of strangers, looking like an outsider, feeling unsafe… they’re all most likely going to happen. When traveling to a new place, especially by yourself — and even more so as an American, whose exposure to hardship is less than most of the world — mishaps occur. You learn to deal with them, and then you learn about yourself, learn navigation, gain confidence. But if you do it right, at the end of your journey, you’ll discover that “finding yourself,” that age-old obsession, is not the best or most significant part of travel. Rather, it is connecting with people in a real and meaningful way, even while recognizing you may never see them again. The most important moments in travel are not the ones that connect you with yourself, but the moments that link you with others. Modern media, especially the ubiquitous travel blogs, have created a self-indulgent idea of solo travel as a vehicle for narcissistic soul-searching. Seeing international travel through this lens distracts us from even the most basic level of mindful immersion. Traveling alone should not mean that one exclusively travels inwardly. What becomes memorable and meaningful is subjective. Your takeaways will vary. Here are some of mine. 1. 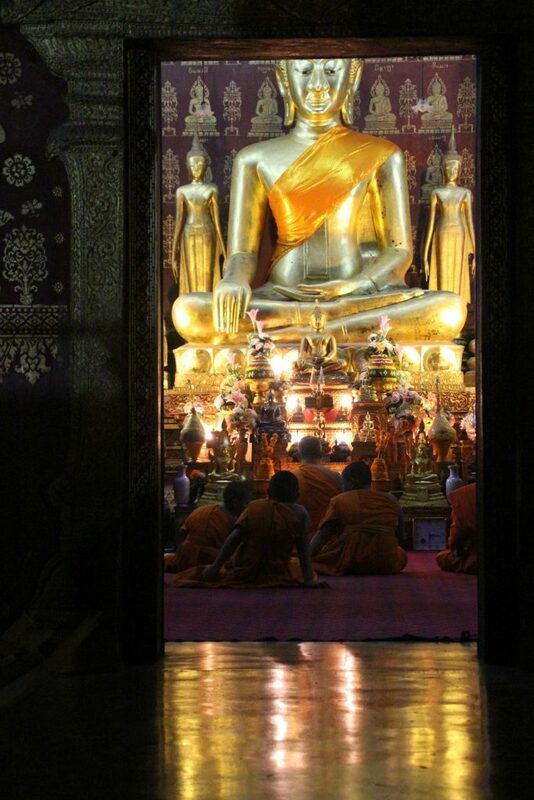 Knowing that a day at the temple leaves your palms smelling of herbs and spices, cardamom and coconut water. Last fall, I took a three month journey to Asia by myself — but this was not a backpacking trip. I spent two months living and working in Bangalore, India, then part of another month exploring Vietnam. I took ten days at the end of this journey to visit a few European countries. 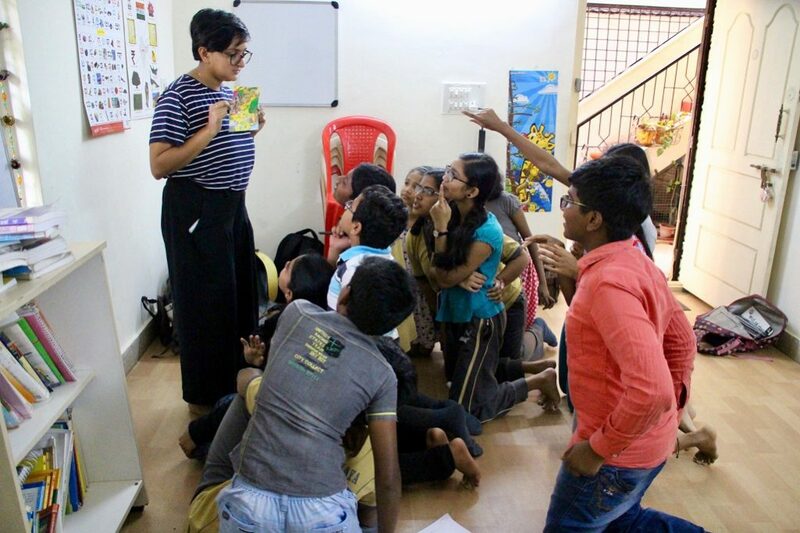 While living in Bangalore, India, I worked at the Happy Kids Institute, an after-school program for children with learning differences like dyslexia, ADHD, and autism: all disabilities that are regarded in India either as taboo or as outright fabrications. I spent my time at the institute interviewing and documenting teachers and students, and working daily with the 12- to 14-year-olds. I lived in an apartment with the woman who owns and operates the school, thanks to her generosity and to knowing her son as my college roommate. It was an incredible offer I couldn’t possibly refuse, and it gave me the ability to immerse myself in Indian culture, traveling through the country on holidays and weekends. It was, indeed, immersive. I woke up each day at 6 a.m. for yoga and meditation. I know how cliché that sounds, but I’m not kidding. I’d go into the courtyard of the apartment complex in which I lived to do yoga alongside many others doing the exact same — old, young, men, women. This is a way of life here. Then I’d come inside and watch as my hostess carried out her daily Hindu prayers, make Indian food with her, dress in an Indian tunic, and head to the school to help prepare lessons for the day. That level of immersion was, in some ways, difficult. These were not clothes I would normally wear, knowing that at home they’d either be seen as a novelty or as cultural appropriation. As a woman in Southern India, I was expected to dress, talk, and act like Southern Indian women do. It was easier that way. Last year, the Thomson Reuters Foundation found India to be the most dangerous nation in the world for sexual violence against women. Wearing long, loose pants and Indian tunics was a protective measure — those clothes felt like armor, and soon I felt strangely naked if I wasn’t wearing them in public. That feeling took several weeks to wear off, even after I left India. So, yes, immersing myself into Southern Indian culture could include some fear, some discomfort, some unfamiliarity. But it was worth it to come together each morning with strangers in meditation, to be included in holiday celebrations. It was worth it to learn to cook Indian food each night, discussing Indian customs and education with the strong-willed, kind, and intelligent woman who hosted me. It was worth it to spend days in Hindu temples and understand why cows are sacred (Shiva), why Ganesha has an elephant’s head, why Durga is a badass. It was worth learning how to bless myself with herbed water, learning about energy and balance, about arranged marriage, village farming, the cruciality of a healthy corn harvest. 2. Perceiving the joy and pleasure when a child recognizes they are capable of learning; experiencing their open curiosity firsthand. To keep up with the questions, I pull out the school atlas and find some pictures on my phone. I show them the tiny dot on the map that is Richmond, Virginia, pictures of my backyard, of my mother, of American cars. Chetan, Kavana, Lakshmi, and some of the younger ones whose names I don’t know, crowd around the little desk. Their questions become more complicated and in-depth, asking about cultural differences, religion, and the American school system. The intelligence these children display — despite the prejudice they face from teachers, family, and friends due to their learning differences — never fails to astound me. Many Indians in older generations still think in context of the caste system, slotting these children into a lower social position, and setting them up for failure before they’re given a chance to prove they deserve any better. Happy Kids Institute gives them that chance. “Maybe one day you’ll all have the chance to visit me in America,” I say. The smiles on their faces could light a city. 14-year-old Chetan and 12-year-old Kavana are brother and sister, orphaned as small children; they now live with their aunt and uncle. 14-year-old Lakshmi is the first person in her family to learn how to read. If ever you have the chance to teach abroad, take it. 3. Sharing secrets with a total stranger at 10,000 feet above sea level. 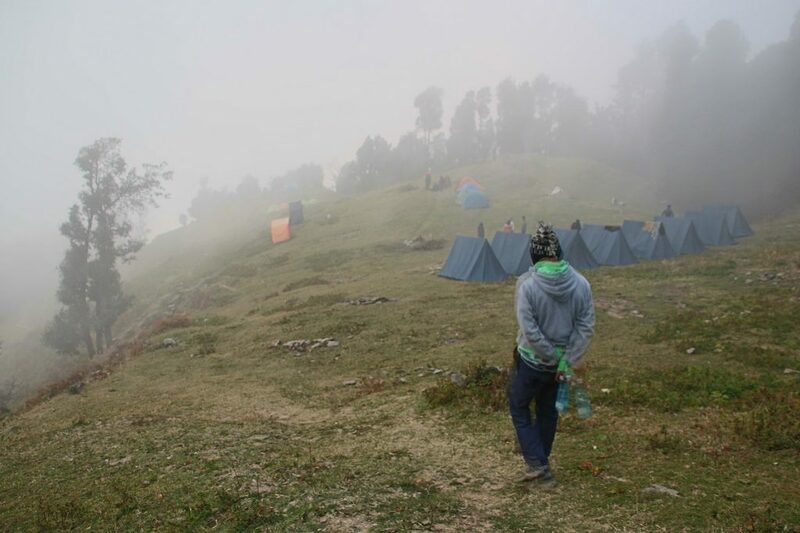 The fog creeps up the Himalayan mountains everyday at 5 p.m. like a weary visitor come to rest for the night. The mountains are so tall, the fog is like a lap blanket below us. The air smells of mint and dew, and every single star comes out to wink the night away. The chai is all the sweeter after a six-hour trek, and our group of eleven gathers around a campfire at the base camp of Nag Tibba, the highest peak in the lower Himalayas of the Uttarakhand region. A new friend and I had been joking throughout the day: bonding over art, writing, hiking, and superhero movies, laughing so hard my abdomen hurt. As the cold moved in and the aches of the day pushed everyone to bed, soon he and I were the only ones left awake. “My boyfriend and I broke up last week,” he said, interrupting the silence. I waited. “I’m glad we did it. 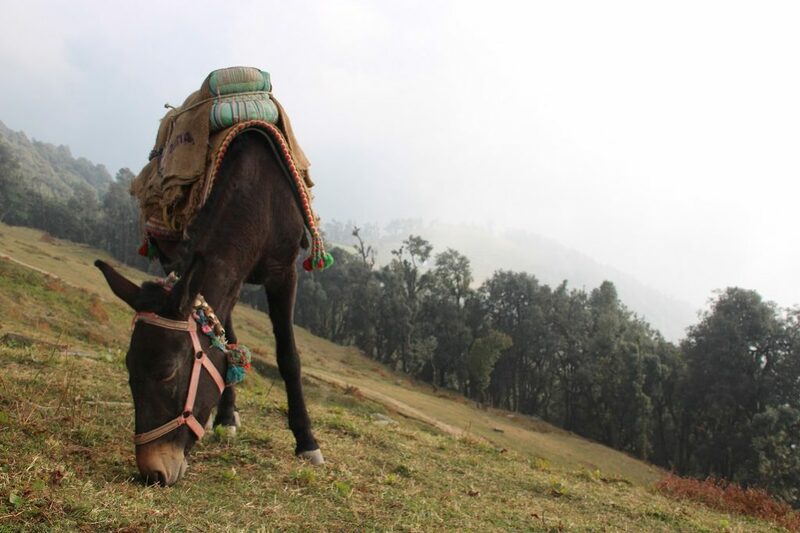 But this week has been hard.” Only me, the crickets, and the pack mules know the rest. Homosexuality was decriminalized only this past September in India. Being gay in India is not easy. But heartbreak is heartbreak. When traveling, instances arise in which you become the side character in someone else’s story. Embrace them: being a listener is an underrated gift. 4. Standing next to an elephant; it doesn’t feel scary, but it does make one feel very small. His back leg was irreparably broken after being crushed in a logging accident, and an abscess was embedded on his hip. He walked with a limp. 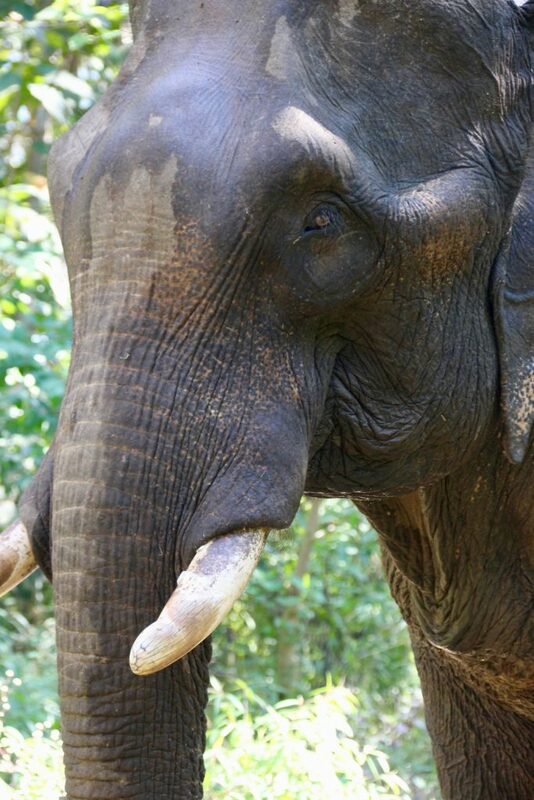 He had been rescued from a logging company, and sent to the Elephant Conservation Center in Laos to live out his days with a disability that would prevent him from ever mating or socializing normally again. His sheer mass and height filled an astounding amount of space. The metaphorical space he occupied was overwhelming. Cultural immersion isn’t always about people. Sometimes it’s about 12,000 pound elephants. 5. Always taking the city bus and second-class train car. They’ll teach you more about a place and its people than any museum. It was like a barrage. For the past hour and a half, the entire train car had been empty, but at this small village stop somewhere outside Hanoi, a huge group of people making their way to the city piled in. Local Vietnamese, arms full of bags, dogs, luggage, and children, filled the entire car. Grandmothers corralled the little ones, men hurried into the quiet corners, students rode back to the city for the school week and finished homework left to the last minute. I smiled sympathetically at the girl poring over her math homework, because doing math homework at 6 p.m. on a Sunday is actually the worst. She smiled back. Traveling to more than 50 places within the span of a year, as some other popular travel articles have advised, becomes nothing more than a to-do list. Yes, you’ll meet lots of people. You’ll see lots of things. But that’s never been my goal when traveling. I aspire to learn, to absorb, to connect. I want to spend at least two weeks in any single place, because anything less is a tourist trap. I’m happy for those who have the opportunities and means to travel — granted, I am one of them. I work hard to earn what I can, and find ways to travel despite supporting myself alone. I’m accustomed to operating this way. But the world does not exist to support my self-indulgent quest to find myself. Because that’s the thing. It isn’t about me. Travel is what you accomplish while being present in a place. It’s about mindfulness, being careful to remember you’re a stranger, not presuming you’re welcome in any space, and respecting boundaries until told otherwise. Reach for immersion. If you have the choice between staying in one town for a few more days or traveling elsewhere to look at a national monument for two minutes, stay in the town. Don’t allow your travels to become a to-do list. Allow them to consume you. Ride the city bus. 6. Reconnecting with loved ones, even if they are thousands of miles away. And Paris is never a bad idea. We meet at Opéra. We always meet at Opéra. There are five of us, five girls who met at school, all those years ago. We link arms in the cold and head down the street, speaking a weird mix of English and French that probably only we can decipher. No time has passed. We order hot chocolate — it’s the best in the world, and we don’t need wine to enjoy ourselves. This is home. It’s okay to visit the same place twice. Maybe even three times. Maybe even annually. 7. Knowing that no matter where you go, you are never alone, because there is always someone who has felt loss in the same way you have. On the island, his friends call him “Crazy Sven.” He laughs loud, photobombs every picture he can, makes dirty jokes, and lives by the motto that “Every day is a good day.” Sven is a real-life viking. His ancestry predates the 1100s, when Norsemen first landed on the brutal, beguiling landscape. He has been a search-and-rescue operative, radio reporter, mountaineer, photographer, mountain guide, and tour guide. 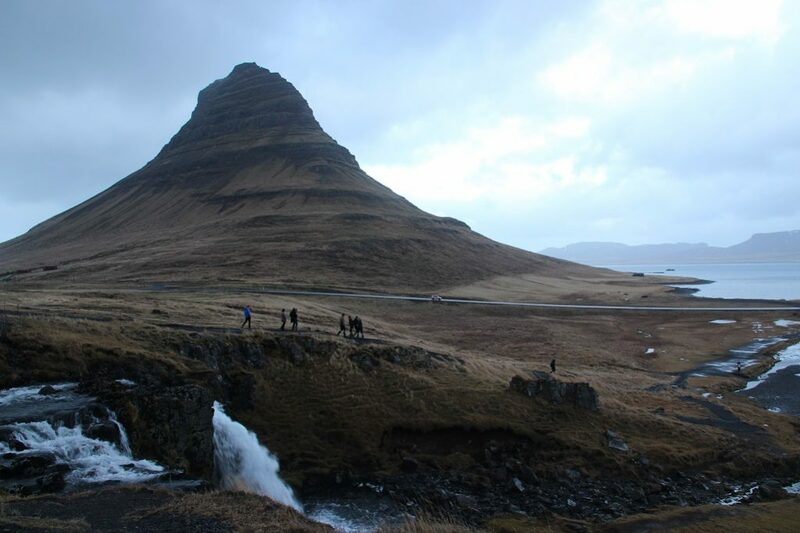 Our little group of eight had chosen a newer, independent Iceland tour company, meaning we had the pleasure of allowing Sven to show us the cliff sides, waterfalls, mountains, and glaciers of the Snaefellsnes Peninsula. At the end of a long, cold, wet, and wonderful day, we gathered around a table eating dinner in a farmhouse somewhere in the barren lava fields of Snæfellsnes. Once inside, Sven removed a couple of his many warm layers, revealing seven ravens tattooed on his forearm. After entertaining us with some stories of elaborate pranks he used to play on his coworkers, everyone became engaged in side conversations. I asked him about the tattoo. 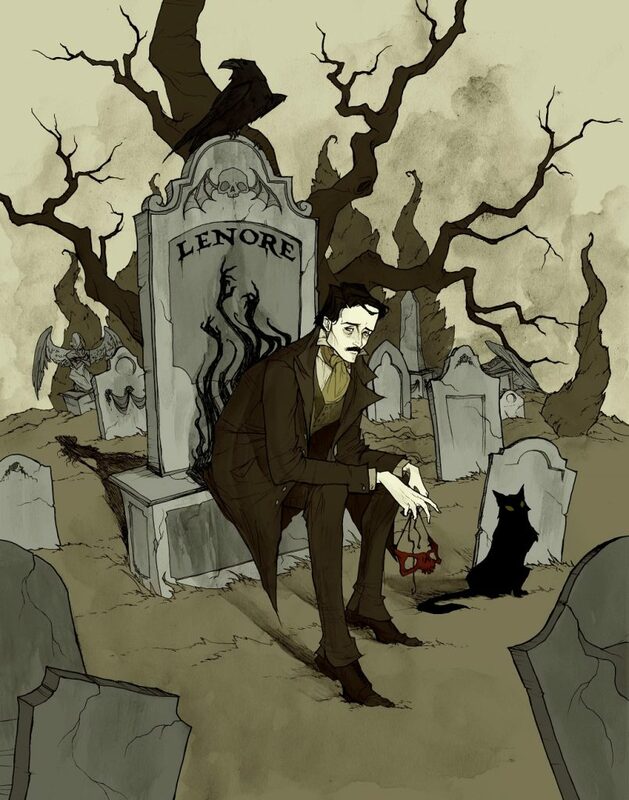 He tells me that in Norse mythology, the raven can be a symbol of death — of a loved one lost, watching over you. “I have a tattoo like that, too,” I said. For me, travel required a measure of courage and a desire for adventure. But in return, it offered fulfillment and encouraged perspective, even as it redefined the importance of home. I want to believe. It’s the refrain of a generation, the innate human desire for something more. Everyone has a UFO story, and astronomer Seth Shostak of SETI (the Search for Extraterrestrial Intelligence) says the fascination is hardwired into us. I was already suspicious about the role of the paranormal in my small town, after participating in RVA Magazine’s inconclusive investigation of Afton’s Swannanoa Palace last year. But the presence of a nationally-known purveyor of the extraterrestrial in our locale is enough for me to be convinced this goes to the top. Or maybe my fascination with UFOs started earlier, with grainy X-Files episodes on Netflix, and nights spent straining my neck to look at the night sky, desperate to see something supernatural in the star-speckled blur of the Milky Way. Or maybe it starts here. Now, with the warning. This is my first attempt at contact with the world of modern extraterrestrial study, and it doesn’t disappoint. The polite, if foreboding, heads-up is sent by Jessica Youness — self described Ufologist and theorist, the president and founder of the UFO Club of Virginia. Youness has made the study of extraterrestrial existence her life’s work, a calling that began while growing up in Minnesota. She was five years old when her parents came home from a trip to Saint Paul, her mother visibly upset. “She took me aside and she said she had seen something in the sky that she’d never seen before,” said Youness. It was 1967 in America, where the mid-twentieth century was the height of UFO-mania as burgeoning space travel, alleged government conspiracy, and the infamous Roswell sighting brewed an iconoclastic cocktail of paranoia and extraterrestrial fascination. Youness was spurred by an interest in astronomy and photography, and references UFO sightings she witnessed while living in Michigan (and now, Virginia Beach), where she founded the UFO Club. Though it may sound like a cheesy sci-fi movie, she calls it a practical form of self-preservation — be it from an invasion from the stars, or a natural disaster like tornadoes or hurricanes. Virginia itself offers the perfect combination of natural landmarks and manmade structures to create close encounters of the third kind. Major airports, naval bases, nuclear facilities, power plants, and military bases all create a draw, said Youness. “Even with all my years of investigating, having different experiences and sightings, when something comes closer to you, when you can get the better picture… that’s when it’s time to stop,” said Youness. In many cases, this pursuit is their night job. Take Susan Swiatek, the Virginia state director of the Mutual UFO Network (MUFON) — one of the oldest and largest UFO research organizations, composed of volunteers who study alleged UFO sightings across the U.S. While we talked, she pushed a cart around a grocery store, buying supplies for her day job stocking vending machines and micro-markets in Fairfax. Our conversation was intermittently interrupted by the soft sound of Muzak from overhead speakers, the beeping of the checkout line, and a brief debate over the best flavor of La Croix. Swiatek has been with MUFON for over 40 years, and is a member of the national board alongside her husband. Established in 1969, the organization boasts of four thousand members nationwide, with chapters in every state. “UFOs are my first love,” said Swiatek. Like Youness, her interest started young. Spurred on by the cases of extraterrestrial interest that punctuated the 60s, it was the mystery of the Betty Hill case that drew her in. The “Hill Abduction” was the first widely publicized report of an alien abduction in the U.S. The story surrounded a rural New Hampshire couple, who claimed they were kidnapped by aliens in September of 1961. As director of MUFON’s Virginia chapter, it’s Swiatek’s job to log, track, and investigate these UFO sightings. She manages teams of civilian investigators, whose ultimate goal is to collect and analyze UFO data and to discover the origin of the phenomenon. It’s a vein of work that relies on shaky cell phone footage and a plethora of false starts. Thanks to the geography — lakes, mountains, and prime oceanside real estate — Swiatek tells me that Virginia is the ideal breeding ground for UFO activity. Swiatek directed me to a story of a UFO sighting in Richmond from 2017, where a witness reported watching and videotaping a cylinder-shaped object hovering over a neighbor’s home. There’s another report from Chesapeake of a triangle-shaped object, flying at a height of 500 feet which appeared to cloak itself and disappear. The lists of reported incidents are nearly endless, and Swiatek says some cases get very involved, while others are easily dismissed — a trick of the light, or a classic case of The Boy Who Cried UFO at the moon. Though the study of UFOs is a side job for Youness and Swiatek, Shostak has made a living watching the stars. He’s a senior astronomer at the SETI institute, a research organization whose mission is to explore the nature of life in the universe. Shostak is a NoVA native who began his search for intelligent life at the National Radio Astronomy Observatory in Charlottesville. 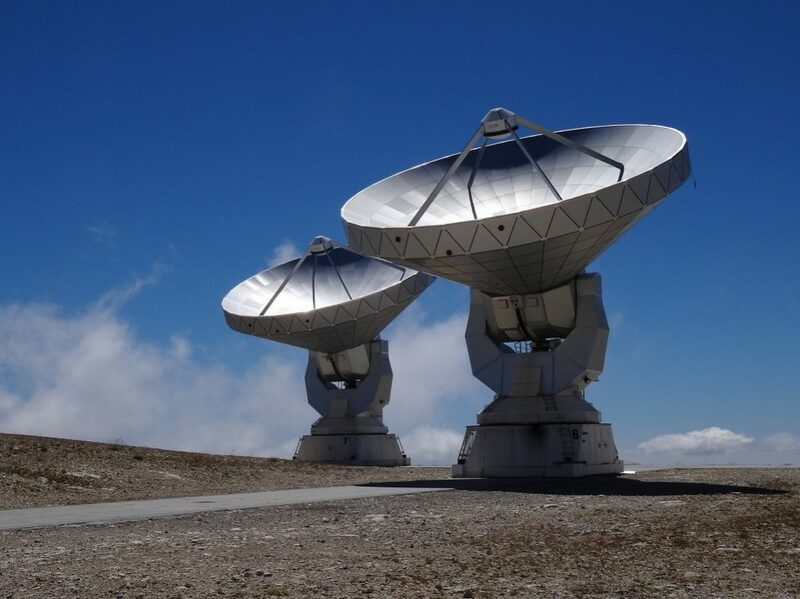 Though he was paid to study galaxies, in his free moments he would point the radio antennas in the direction of the black holes and planets, hoping to pick up a signal that would change his career. “The universe beckons,” Shostak wrote in a 2015 editorial for The New York Times. He questions transmitting our messages into the cosmos, for fear of who could be listening. Shostak ricocheted from Virginia to Europe, and finally to California in 1988: where he became entangled with the newly conceived SETI Institute, before it was even a whisper between Jodi Foster and Matthew McConaughey in 1997 sci-fi flick, Contact. The SETI institute is a key research contractor for both NASA and the National Science Foundation. It employs more than 130 scientists, educators, and administrative staff. 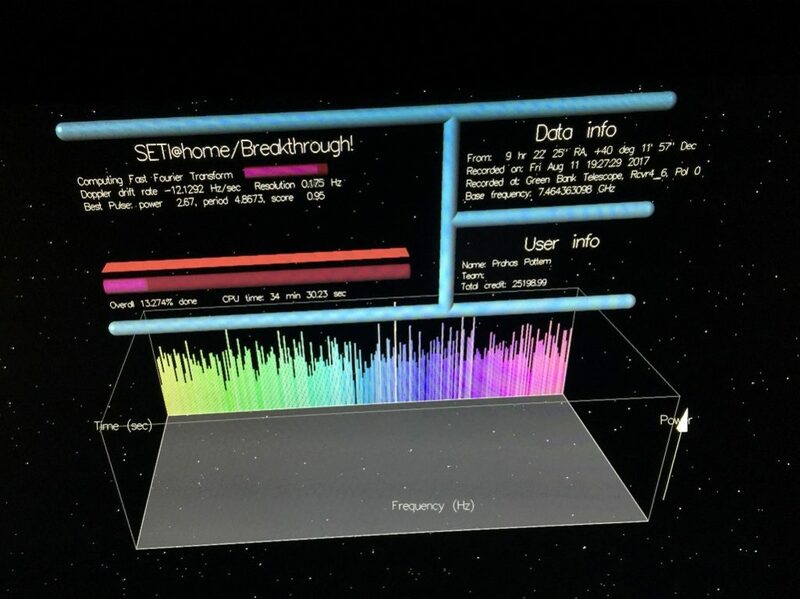 Work at the SETI Institute surrounds three centers: the Carl Sagan Center for the Study of Life in the Universe (research), the Center for Education, and the Center for Outreach. While SETI was originally created to find intelligent life in space, these days a majority of the scientists are more concerned with astrobiology — the study of all life beyond earth, encompassing a wide range of topics, including astronomy, geology, biology, and sociology. As far as our chances of finding life goes, Shostak is optimistic. Our technology and knowledge of astronomy is more advanced than any culture before us. 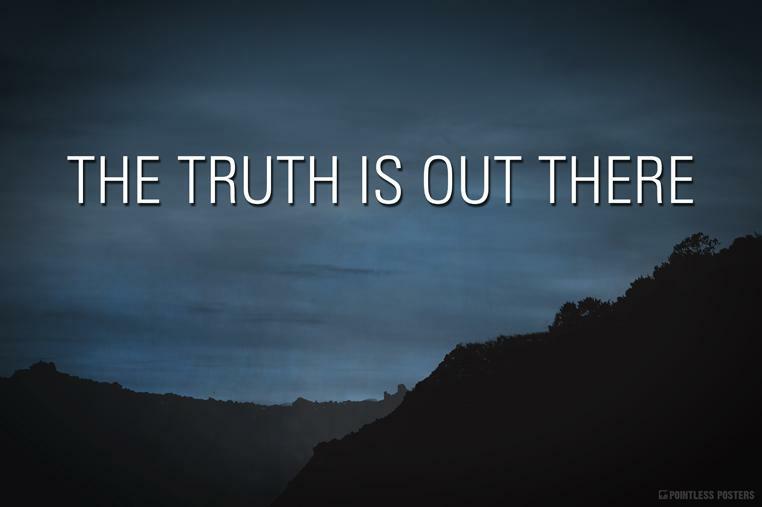 In the end, It’s Shostak, and not The X Files, that convinces me that everyone truly wants to believe. He calls UFOs “evergreen.” They’re enormously popular with the public, because they give us something to unite against. A common enemy. A universal mystery. They’re the stand-ins for our human fears, giving us the means to look into the vastness of space and to compartmentalize the intricacies of our own earthbound problems. UFOs are a universal fascination — whether it’s a life’s work, a hobby, or an idle pastime. Despite its association with fringe conspiracy, it’s a study legitimized among many major news sources. See the The New York Times December 2017 exclusive on a secret Pentagon program investigating the phenomenon, or video released by the Defense Department’s Advanced Aerospace Threat Identification Program of an encounter between a Navy F/A-18 Super Hornet and an unknown object. These theories, suspicions, and studies exist at every tier of our society. From national organizations to local clubs, and to my small hometown — where a ufologist can make a career in the foothills of the Blue Ridge; estranged among cow pastures, copious wineries, and good ol’ rural Virginia. Despite our hometown connection, I should have you know that Steven Greer declined to comment for this article. For all the talk of aliens, this is what makes us so entirely human. That, amid everything — amid logic, skeptics, and grainy, inconclusive photographs; amid debunked abductions, dramatized 90s sci-fi television, and the radio silence from space that meets our calls — we are drawn to the stars in search of fundamental truths. Or, at the very least, a spaceship.